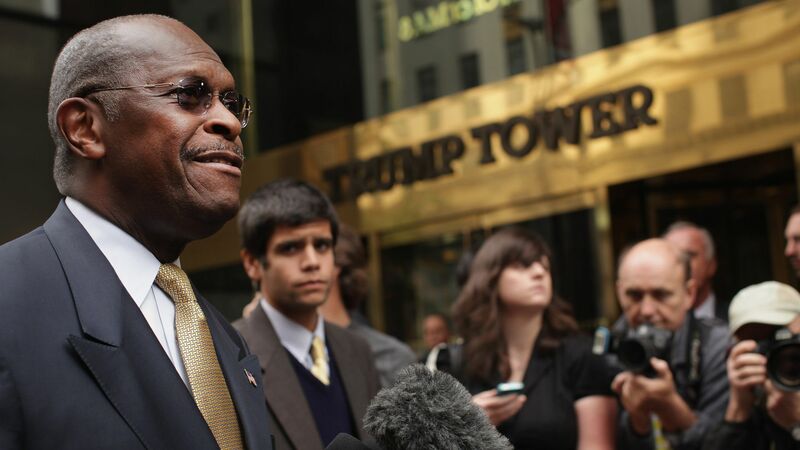 Herman Cain's candidacy for the Federal Reserve's Board of Governors is collapsing. Where it stands: Enough Republican senators — four — have said publicly that they don’t plan to vote for him, virtually dooming his nomination. What they're saying: Senate Majority Leader Mitch McConnell had some blunt advice for Trump about possible nominees during a pen-and-pad session with reporters in his office yesterday. Between the lines: Asked if he was surprised that Trump was considering Cain, McConnell said with a laugh: "Surprised? On a daily basis ... not totally unusual." Yes, but: Despite Cain's poor prospects, Director of the U.S. National Economic Council Larry Kudlow told Fox News yesterday that the White House still wants him.